Virtual network address space must be big enough so that it has at least a default subnet and a gateway subnet. The gateway subnet must have at least /29 (8 addresses), I strongly recommend at least /28 (16 addresses) or even better /27 (32 addresses). You will need them if you want to connect more than one network (VPN, ExpressRoute) and as already mentioned – you can’t change it later. So you must delete the network including the VPN/ExpressRoute connection and recreate all. Instead of deleting it, you could also create another virtual network and peer it with the existing one. But it makes it unnecessarily complicated. Azure reserves 5 private IP addresses from each subnet that cannot be used. The first and the last address of the address space and 3 addresses for internal use (DHCP, DNS). It creates a self-signed certificate and exports it as string (to the clipboard). Don’t close the Powershell session because we need it later to create the client certificate. Instead go back to the Azure portal and paste the content of the clipboard to the “Public certificate data” field. Give it a useful name and save it. You can already download the VPN client. If it’s still disabled (grey), just navigate the connections and back to point-to-site configuration (just reload it) and you’ll be able to download and install it. A certificate could not be found that can be used with this Extensible Authentication Protocol. (Error 798). This will create the client certificate. 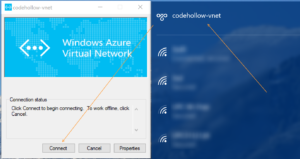 After that, you should be able to connect to your Azure virtual network. 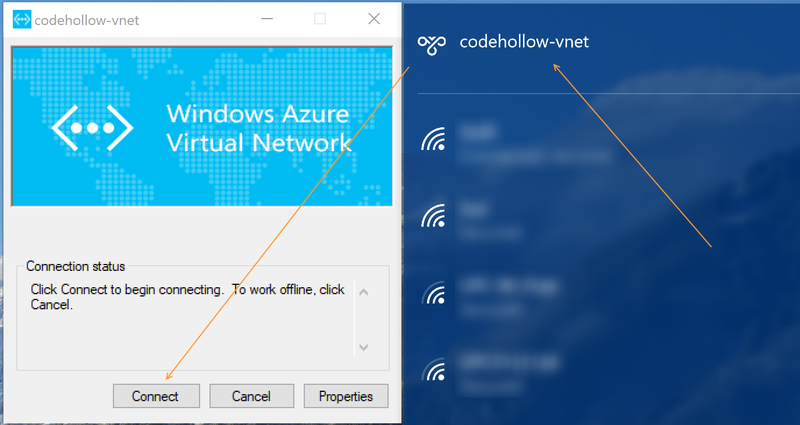 Connect to the VPN and refresh the Point-to-site configuration tab in the Azure portal. You should now see a new Allocated IP address (in my case 10.2.0.1). You should also be able to ping your virtual machines or another service in your virtual network. Thank you I also had the A certificate could not be found that can be used with this Extensible Authentication Protocol. (Error 798). You client certificate generation solved the problem for me. Thanks a lot! I found your explanations very clear and compact and could follow it completely including the successful test at the end. Very nice that you avoided too much text and inserted screenshots for each step. 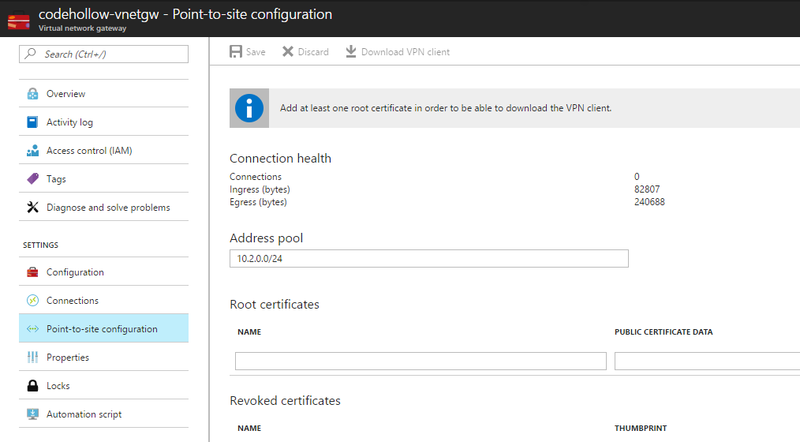 Thank you very much for the excellent and flawless walk-trough configuring point-to-site VPN connection to Azure. Thanks. Cert creation worked like a charm in W10, but not in W7 SP1, how could I do that ?